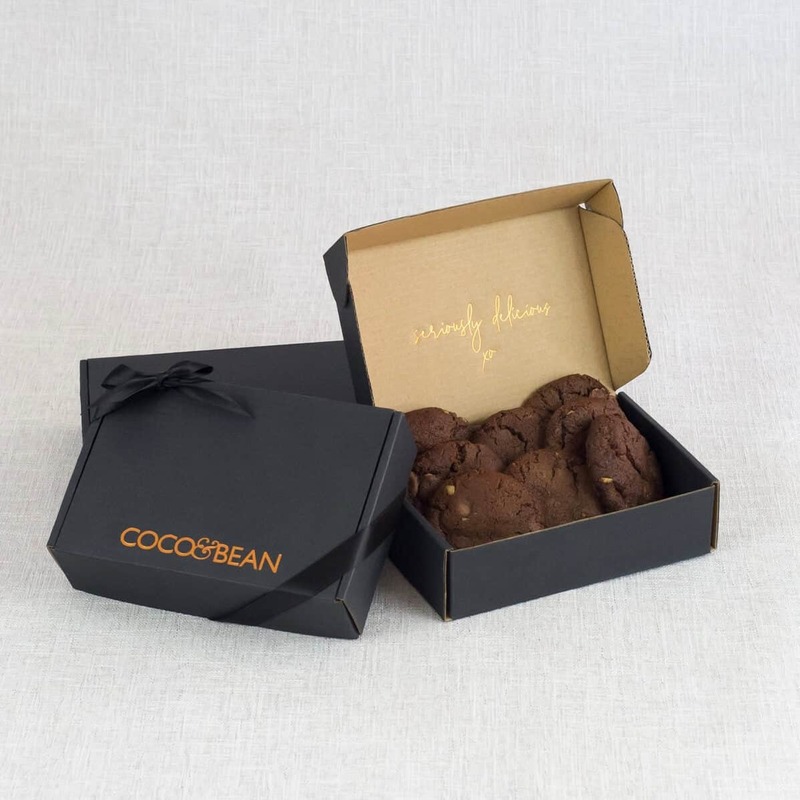 Our seriously delicious fudgey Belgian Chocolate Cookies are handcrafted with the finest coverture Belgian chocolate, farm fresh free range eggs and premium Australian butter. 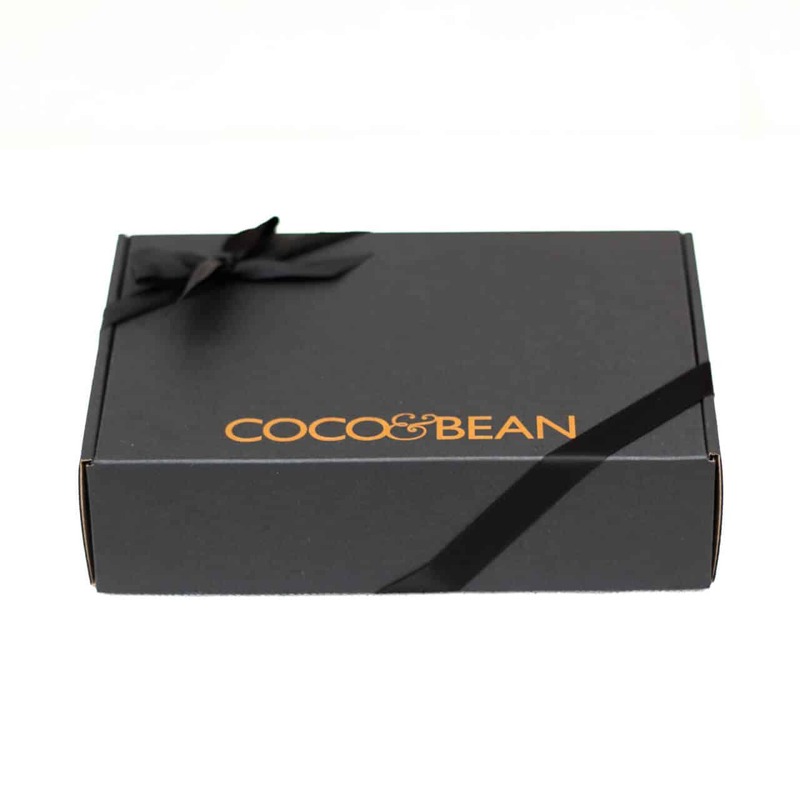 Presented in our signature Coco & Bean gift box tied with a satin ribbon bow. 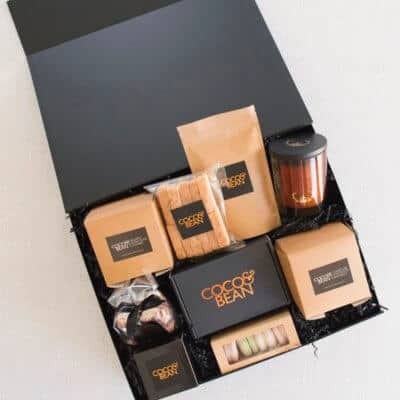 Includes a complimentary ‘seriously delicious xo’ gift card with your personal message. The quality of our Belgian Chocolate Cookies is based on our methods and values. That real food made fresh is best, and perservatives and artificial ingredients do not belong in the kitchen. 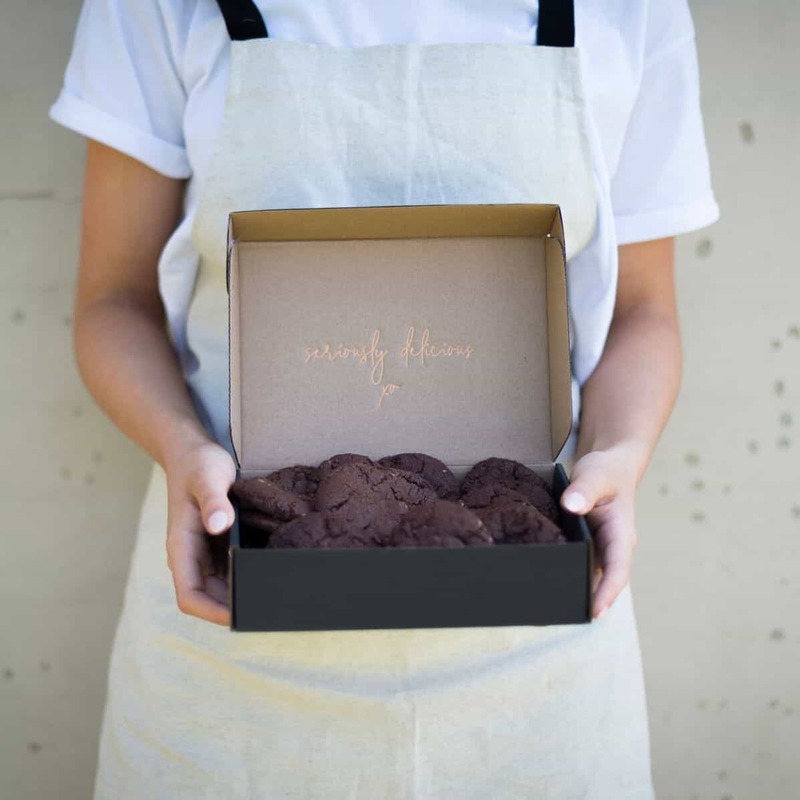 We love making it easier for you to send a quality Australian made gift, and pride ourselves on creating the finest belgian chocolate cookies that are made fresh to order. 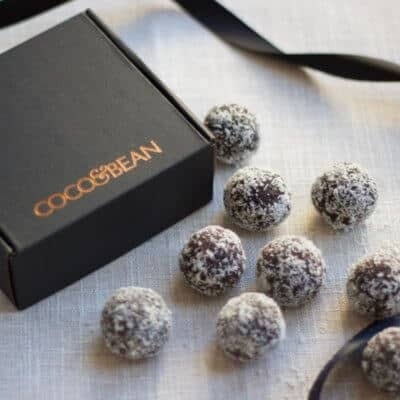 Each cookie is baked to perfection, sealed and carefully gift packaged , showcasing the love and humane touch that is the core essence of Coco & Bean. 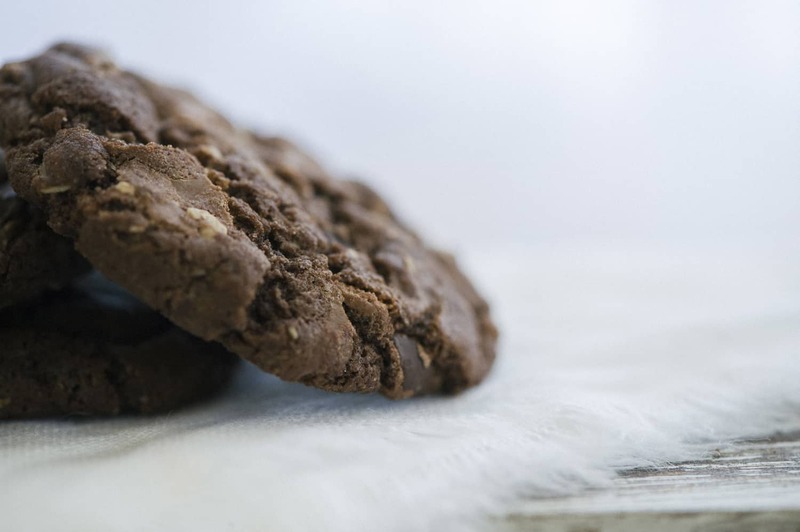 STORAGE: Keep in your cookies in a stable temperature below 20 degrees, we recommend best keeping your sweet treats in an airtight container in the refrigerator and bring to room temperature prior to serving. 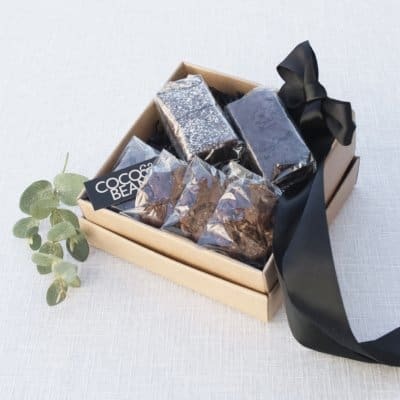 SHELF LIFE: Our productss are best enjoyed asap, however our cookies will keep chilled in the refrigerater up to 2 months.